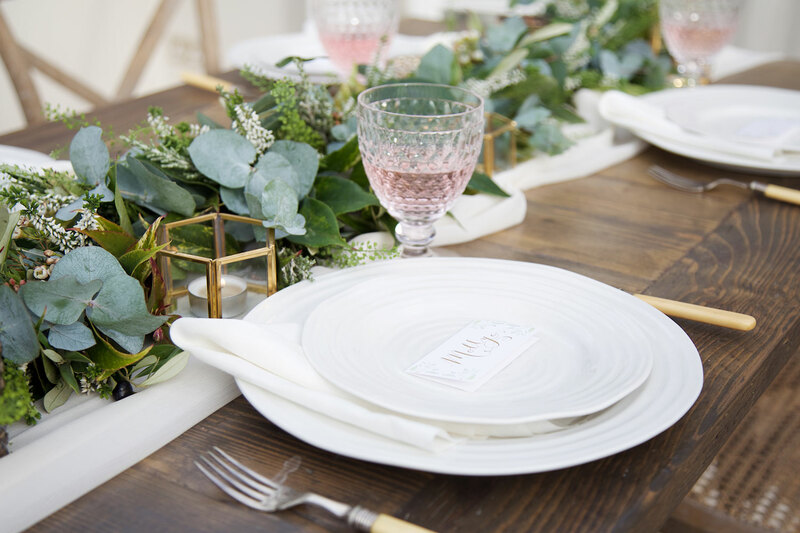 As you’ll know from our previous blog post about 2017 wedding trends, greenery is hot news for the year ahead. 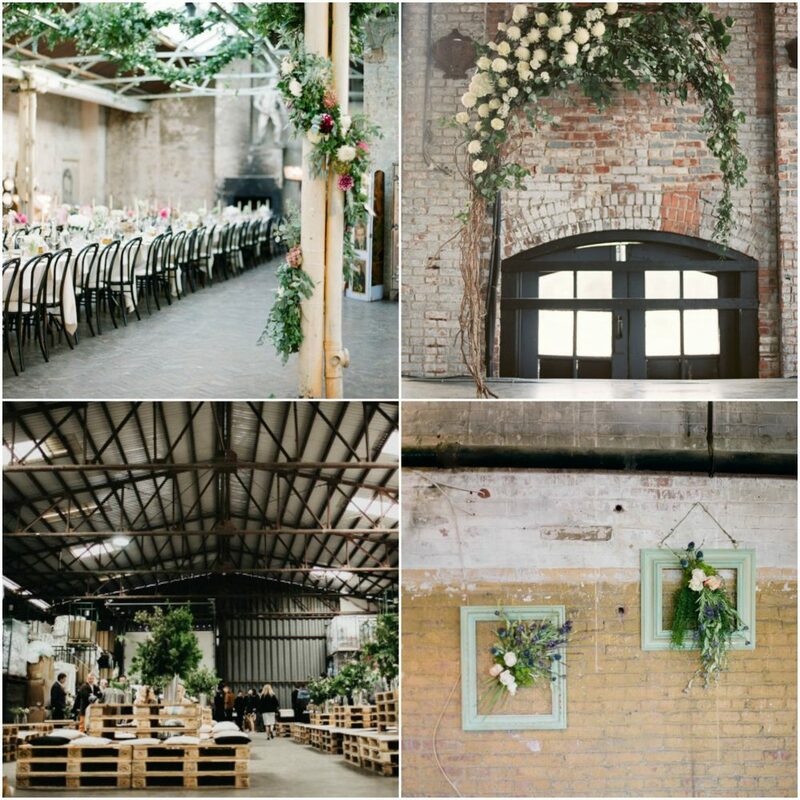 Team leafy foliage with a beach celebration and you have a sizzling Summer wedding that’s ultra-stylish. 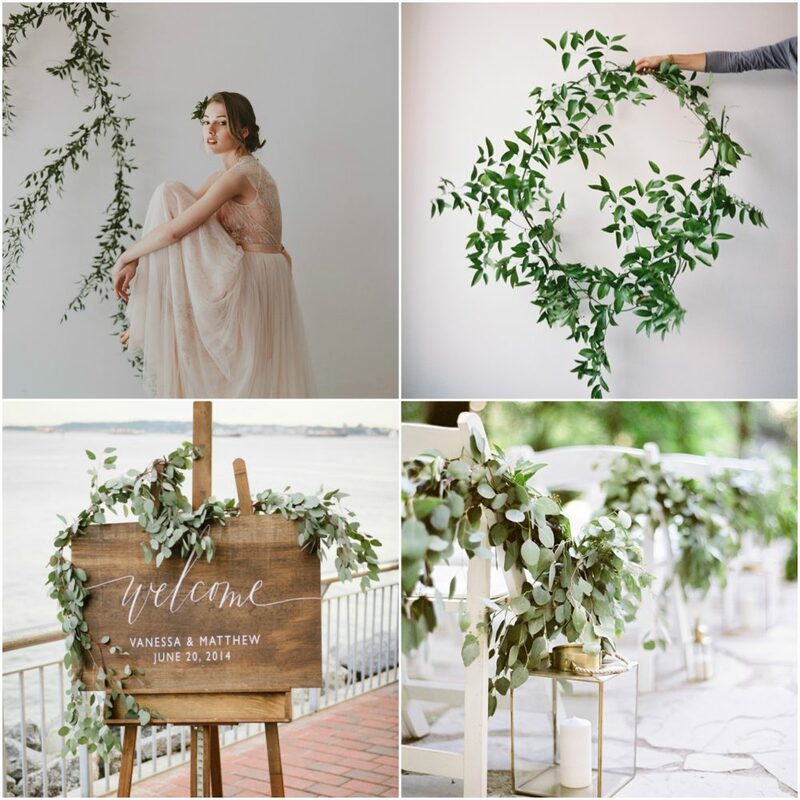 There are lots of ways to use greenery throughout your wedding décor so listen up folks! 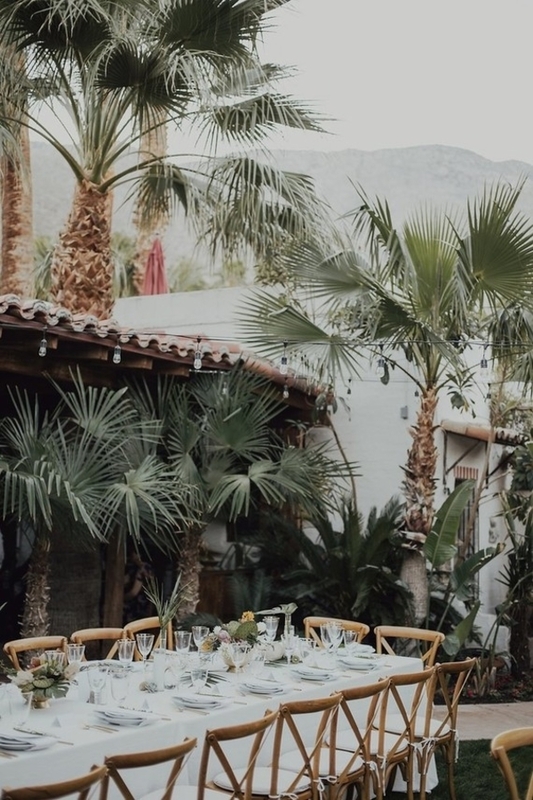 Line the aisle with oversized palm leaves, or use the leaves as chair covers throughout your wedding reception. 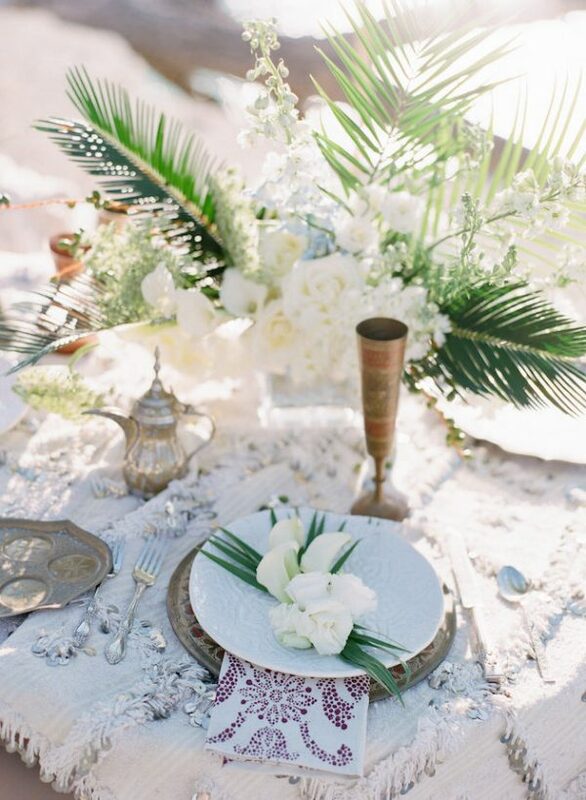 Palm leaves can also be used as part of your wedding place settings. 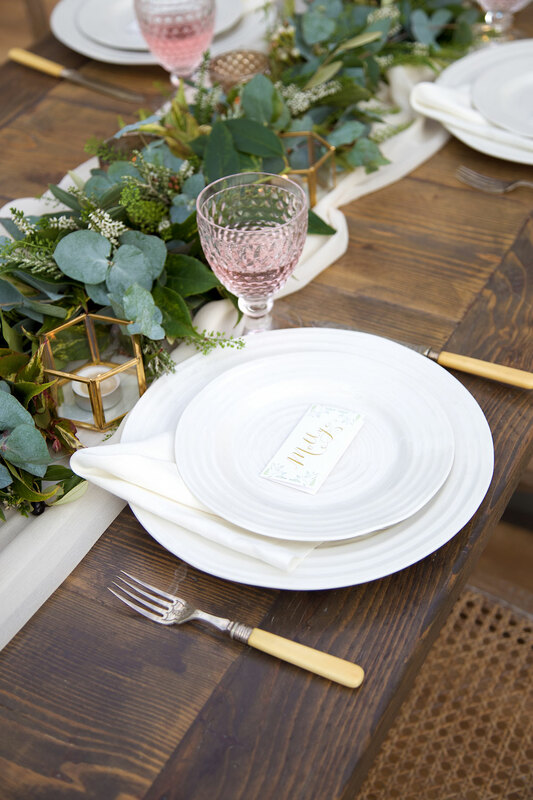 You can write the name of each guest on a palm leaf so that they work as unique place cards, or you can use them as an alternative place mat. The choice is yours – experiment and have fun with your styling! We can’t stop swooning over clear acrylic wedding chairs. 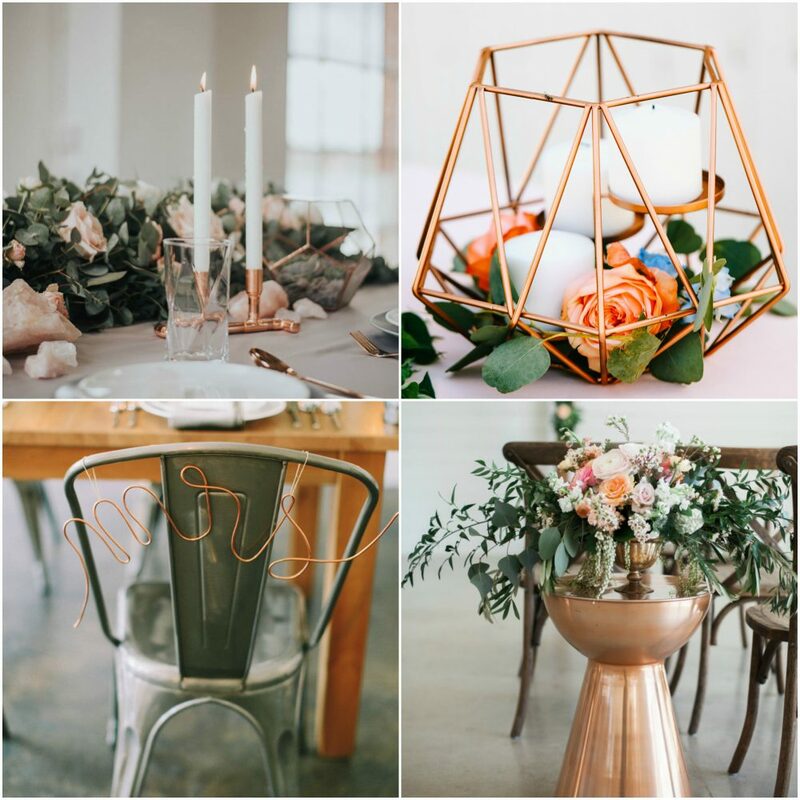 A chic alternative to traditional chairs, they will help to give your wedding venue an edgy and modern vibe. 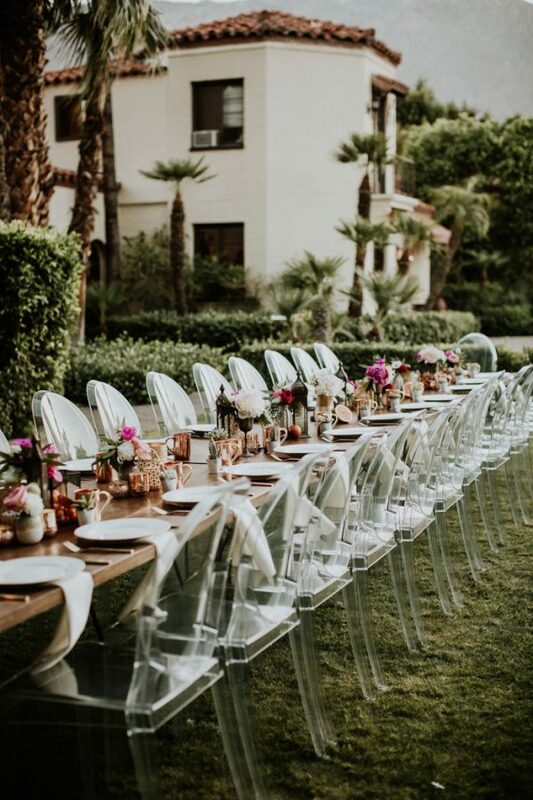 The versatility of the chairs also means they’ll fit in with any colour scheme or theme, whether you’re planning an urban beach wedding or one with a boho feel. 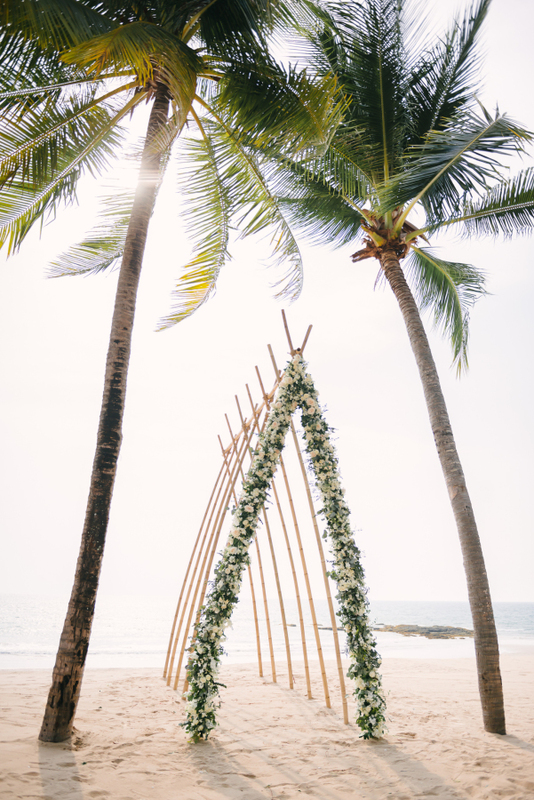 If you’re lucky enough to have your wedding ceremony on the beach, why not create a beautiful ceremony archway? 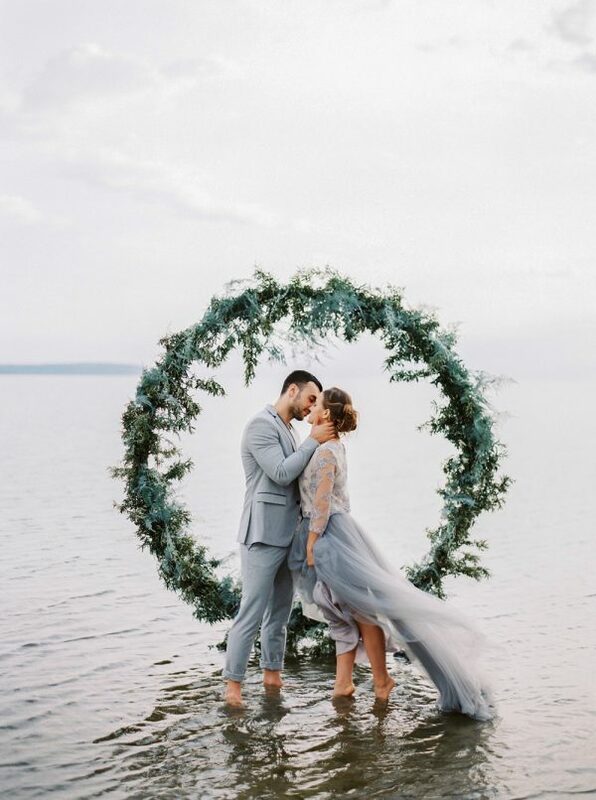 Statement ceremony backdrops are predicted to be big news for 2017 and 2018, and a beach-inspired archway is no exception! 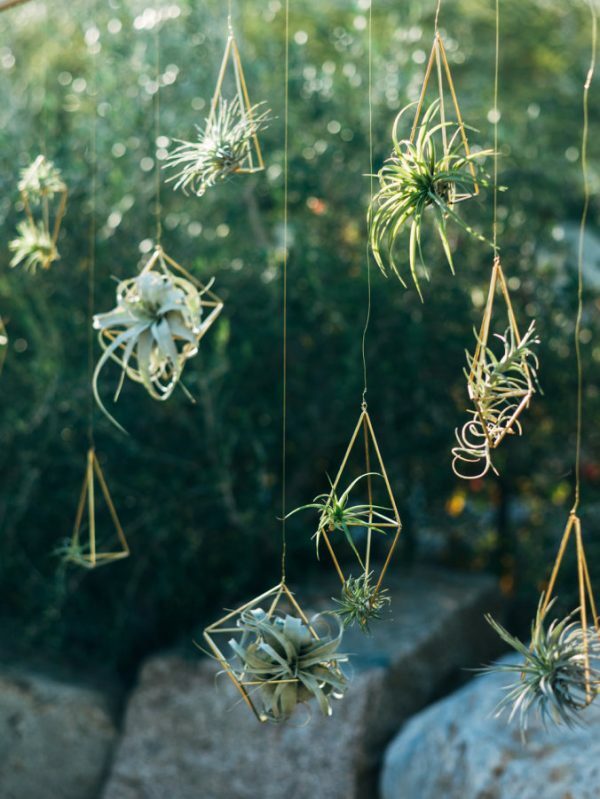 You can adorn it with leafy greenery, beautiful blooms or bohemian fabrics. It’ll create a truly special place for you to say ‘We Do’ and it promises an unforgettable wedding day. 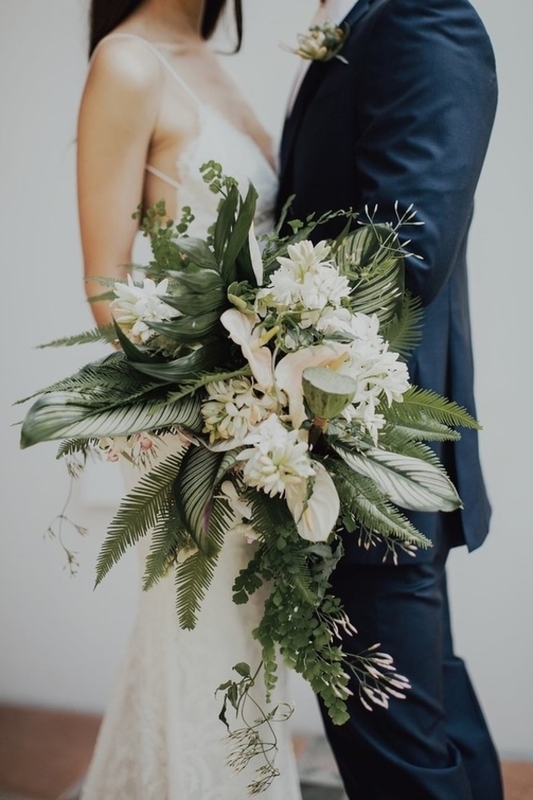 Lots of leafy oversized greens also look incredible in your wedding bouquet. Team with pale succulents or pops of colour for a tropical-inspired bouquet. 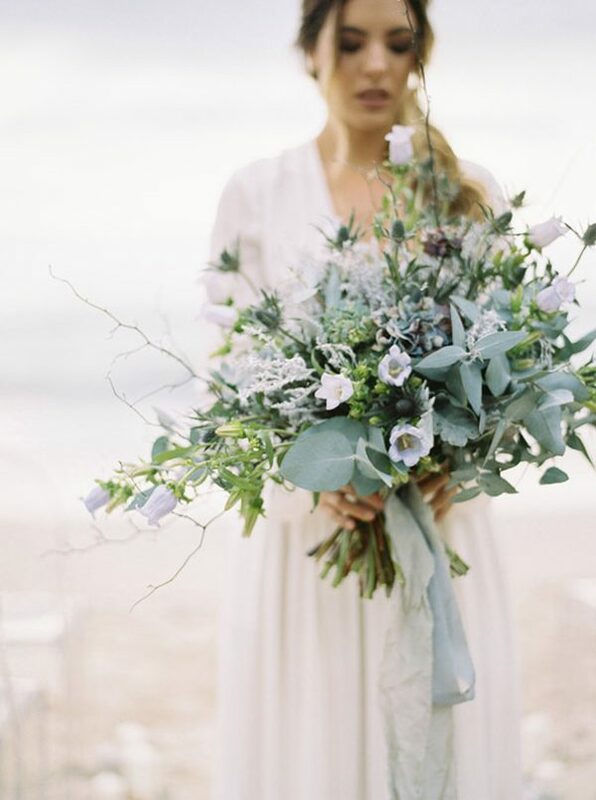 Add a flowing silk blue ribbon for an extra dash of elegant – it can also count as your ‘Something Blue’. We recommend using the same blooms throughout your wedding day so that your theme ties in together. 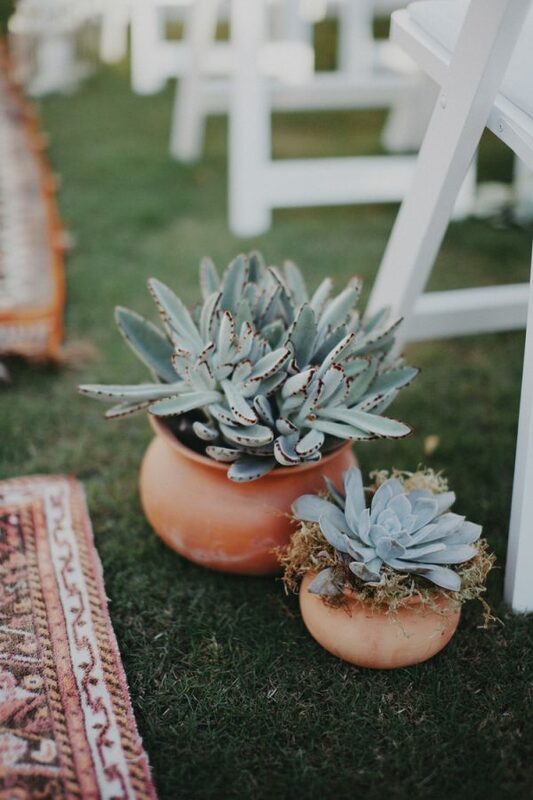 For instance, if you do use succulents in your beach bridal bouquet, you could use potted succulents as part of your aisle decorations or table centrepieces. They also make lovely wedding favours for your guests! When it comes to aisle style, we adore the thought of flowing gowns adorned with lots of lace – just picture the wedding photographs against the backdrop of the ocean! You’ll find that traditional bridal heels may be a bit tricky to wear along the beach, but there are lots of equally gorgeous sandals out there that will give your bridal look a sparkling finishing touch. Your groom will keep cool in a light linen suit and a crisp white shirt. 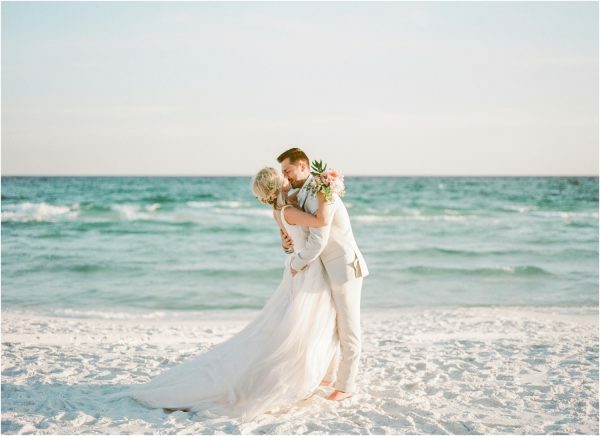 What could be more romantic than celebrating your wedding day on the beach? 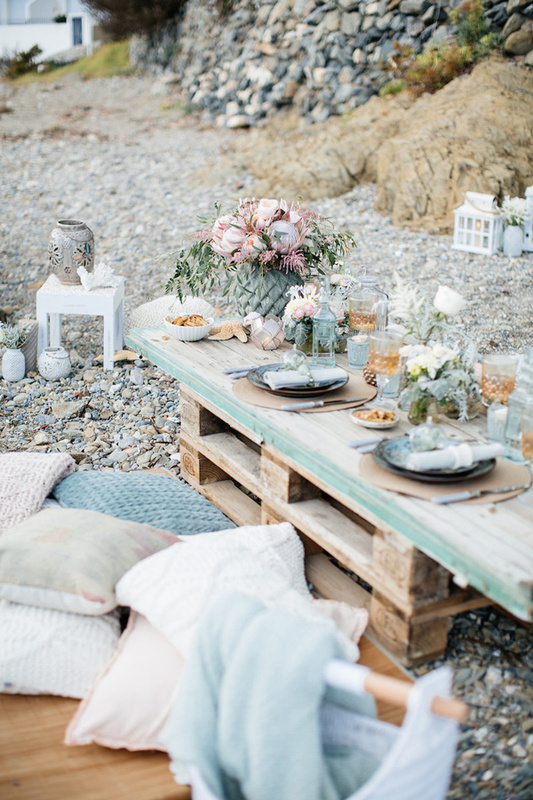 If you aren’t close enough to have a beach wedding, it’s just as easy to bring the beach to your wedding venue! Happy Mother’s Day! Seeing as today is all about our wonderful Mothers, we thought we would share with you our favourite Mother of the bride moments. We’ve found some of the most special wedding photographs out there. For most brides, your Mum will play a huge part in both the wedding planning journey and wedding day. 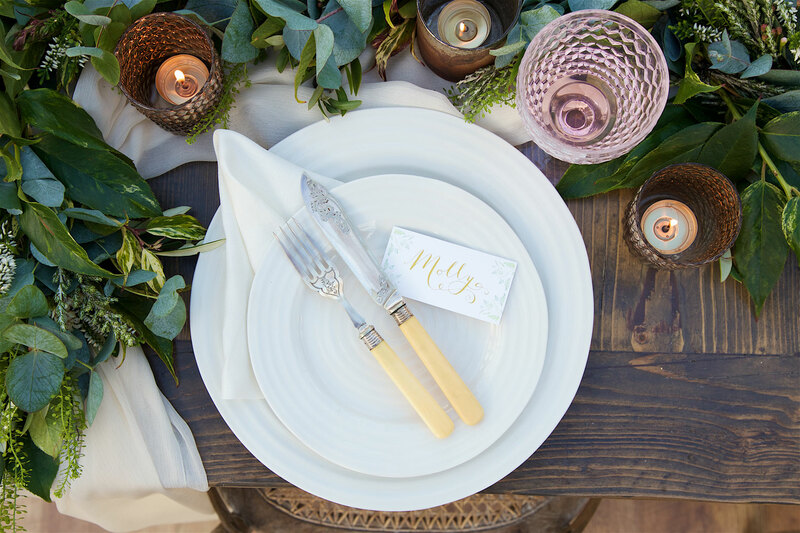 Whether it’s the occasional word of wisdom, wedding advice or a helping hand with decorations. Mums really are superstars! 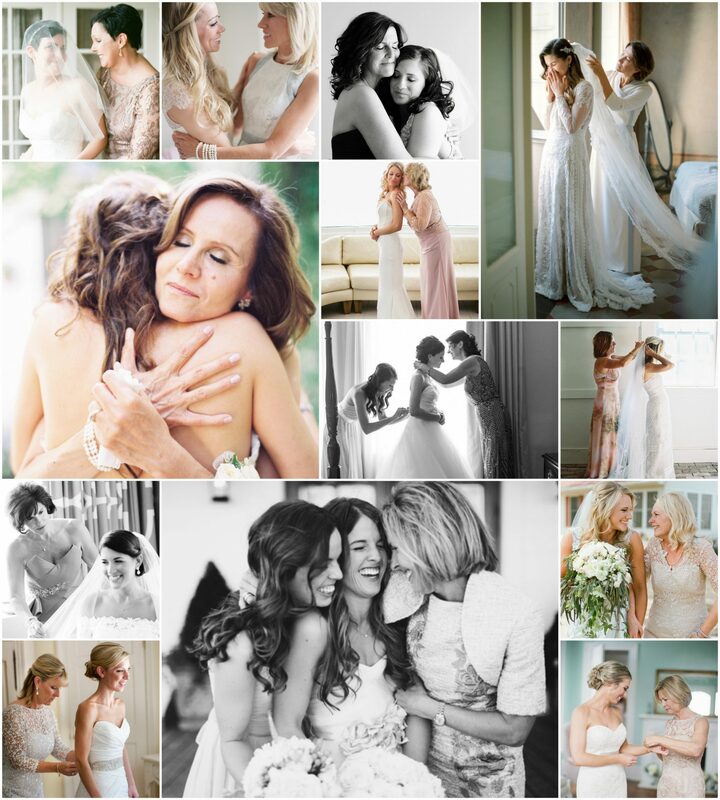 There are heaps of heart-meltingly beautiful moments between the bride and her Mother. One of our favourites is definitely the ‘first look’. This is such a special moment for your wedding photographer to capture and it’s something that both you and your Mother will treasure forever. We love the fact that your photographer has the ability to capture a million different emotions in one picture. It’s the moment that your Mother has the first glimpse of her little girl all dressed up in her wedding gown, ready to begin married life. It can be a happy time where excitement surrounds the room, but it can also be a bittersweet moment for parents. If you love the thought of capturing a ‘first look’ with your Mum, we recommend planning it with your photographer in advance. You’ll need to allow some time before the ceremony so that the photographer can set up and so you can make it a really special moment without feeling rushed. Letting your photographer know will also mean they are there at the right time. There are so many other beautiful emotions and images for your wedding photographer to capture. Get a snapshot of your Mother helping you to put on your wedding dress, adjusting your veil or waiting for you to walk down the aisle. The emotional moments really are endless, but they’re all equally beautiful. 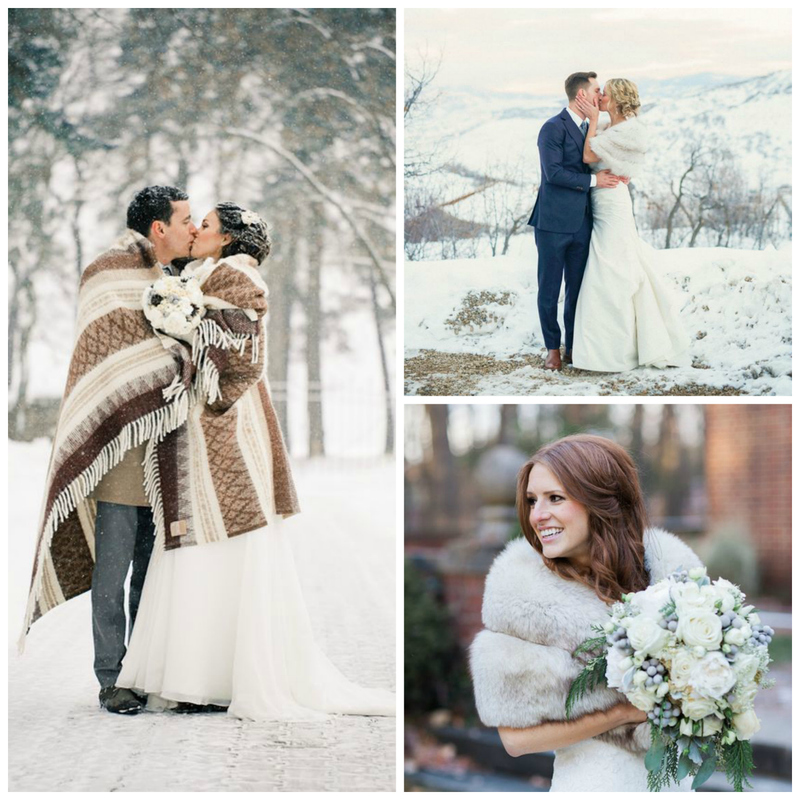 Every winter bride needs to keep warm. But, don’t think we’re advising thermal undies and fluffy socks! Why not go for a gown with sleeves or how about a lace jacket? 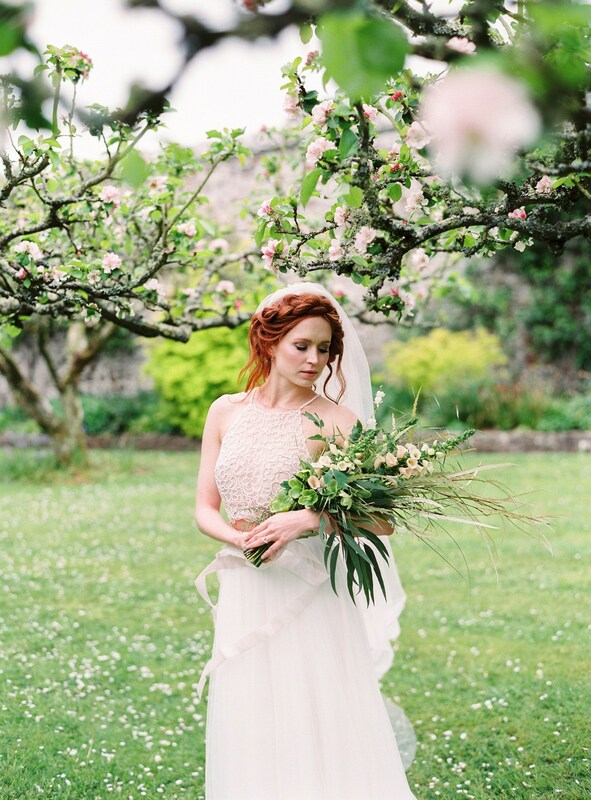 If you’d like something a little more weatherproof, we love brides in snuggly wraps and cosy knits. If you opt for a blanket that’s also big enough for your beau then you’re also set for great photos. Of course, food and drink at this time of year always needs to be warming. So, for your winter wedding, how about soup shots, a hot chocolate station and a hearty feast? 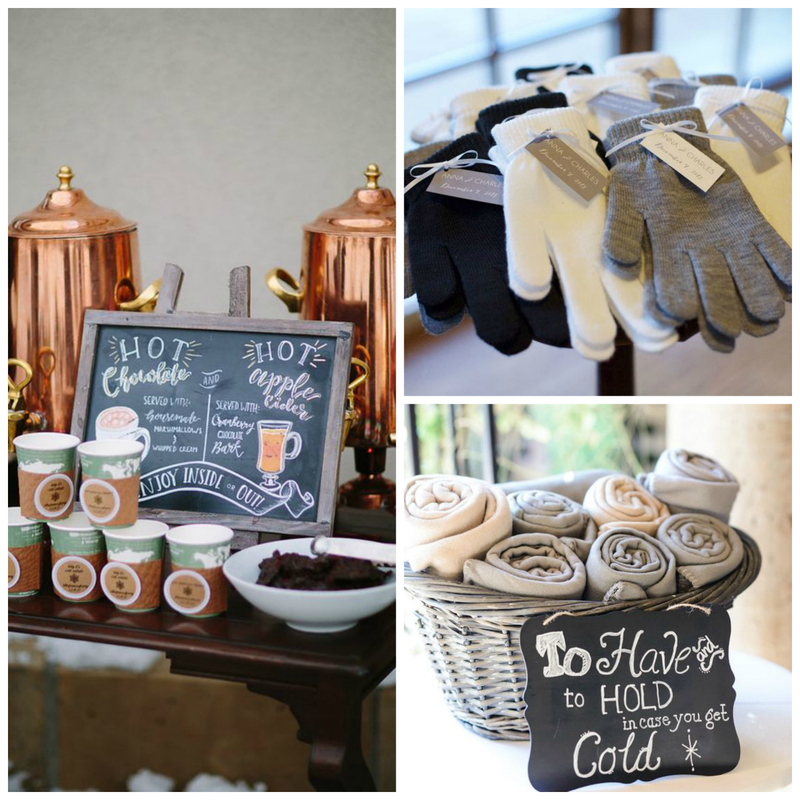 You an also treat your guests with snuggly favours too – we love gloves and blankets for perfect gifts. 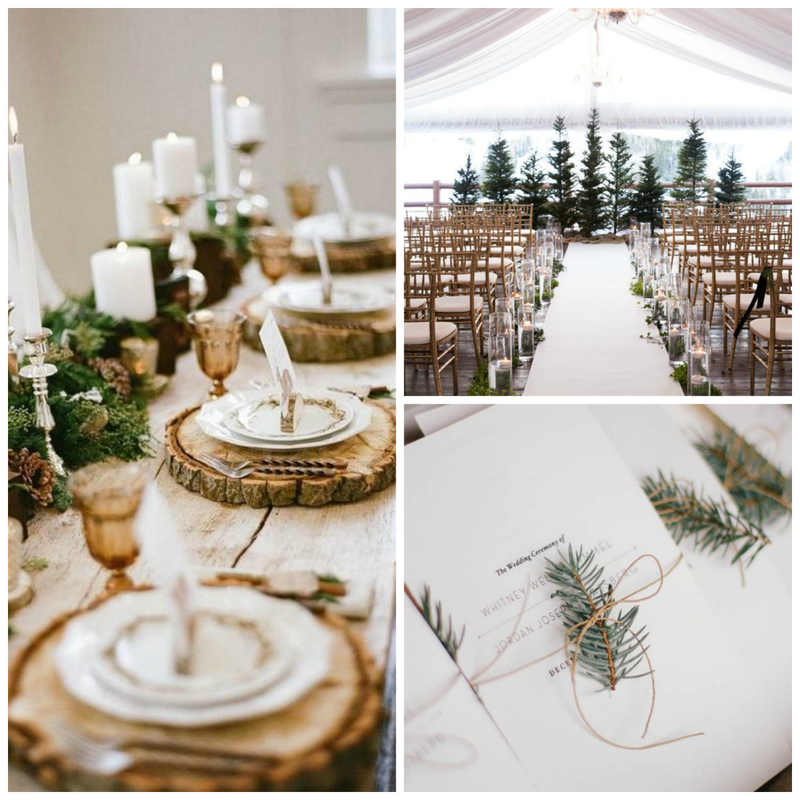 Nothing is quite as wintery as fir trees and pine cones so definitely include these in your styling plans, particularly when flowers can be quite expensive during winter. You can use fir branches to make wreaths or tablecentres while little fir fronds are perfect tucked into napkins. Pinecones are also great decorations and a quick look on Pinterest will show you hundreds of ways to use them! 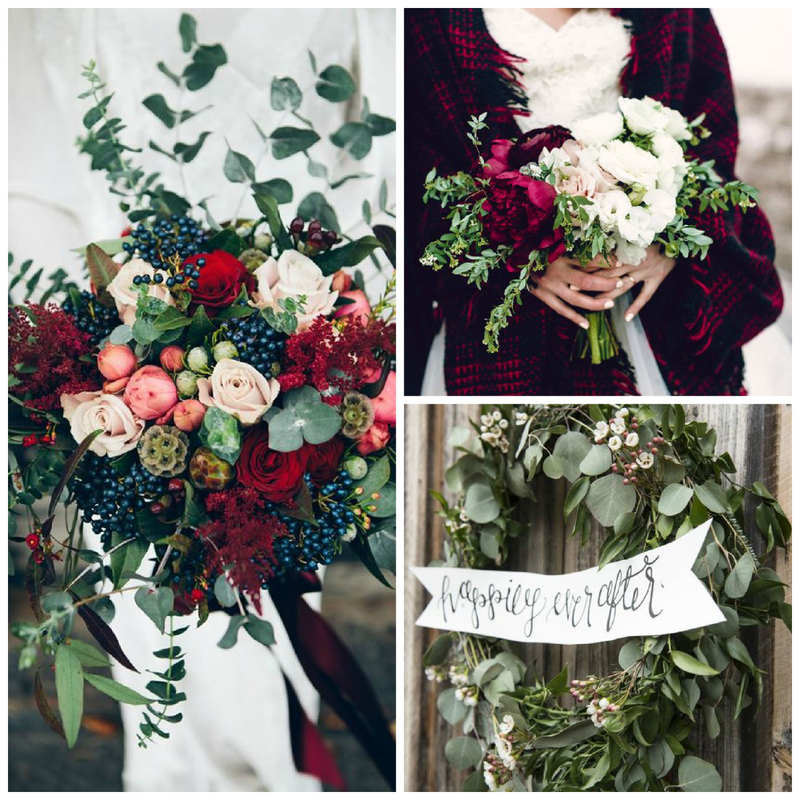 We love pops of festive reds alongside seasonal greens for winter weddings. Think of cranberry and pomegranate tones for a real hit of jeweled brilliance. Our fave seasonal bouquets are oversized, wild and downright gorgeous. 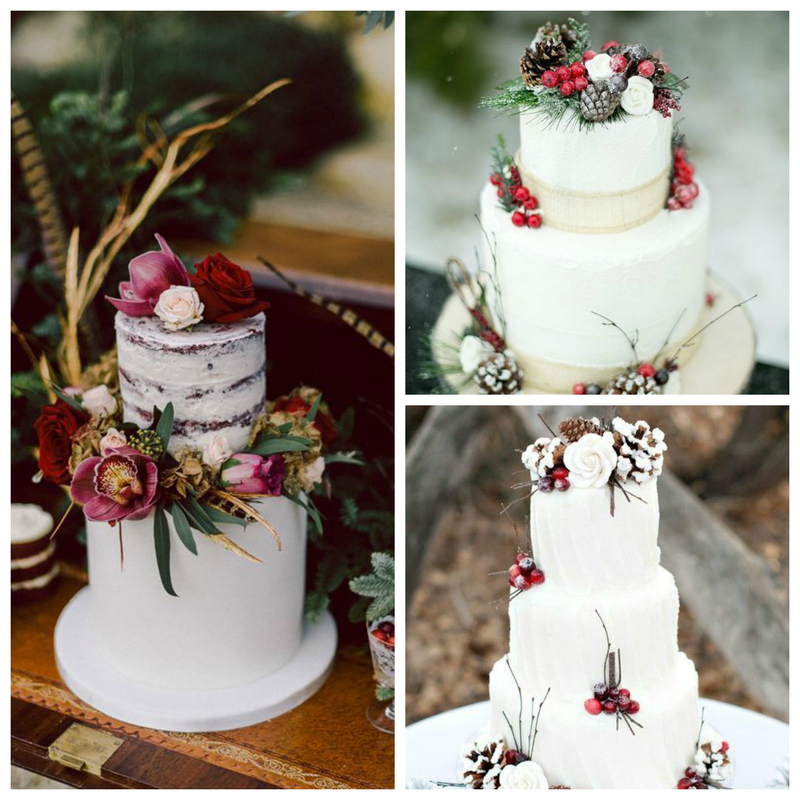 We all love cake and every winter wedding needs a showstopper! Think of snowy white icing, more seasonal foliage and florals and possibly a hot drink to sit alongside a slice when your cake’s served to guests. Delish. 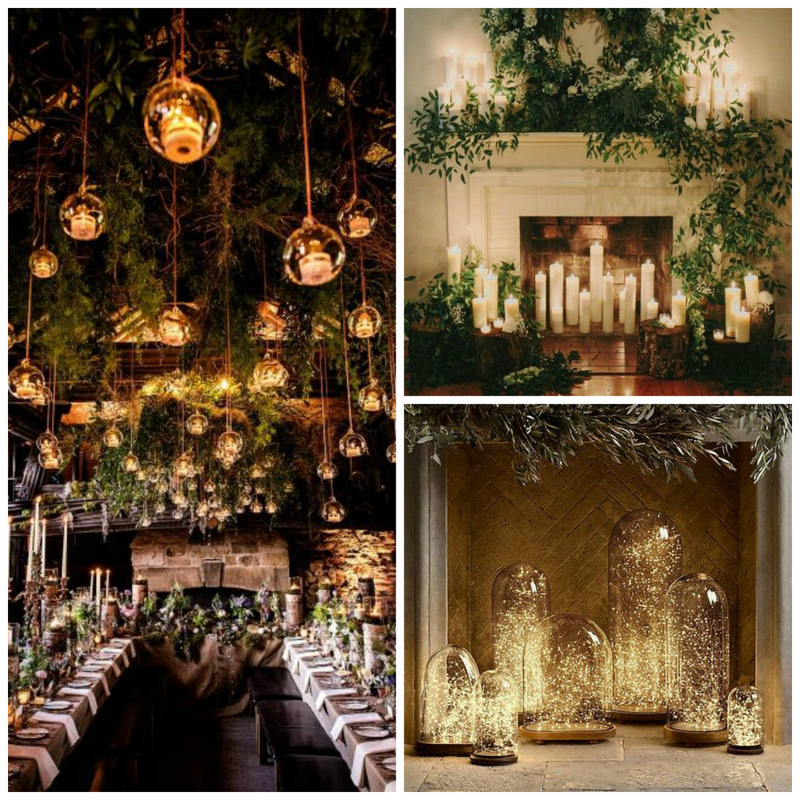 Winter weddings need candles and dreamy lighting like a bride needs a gorgeous gown! Fill fireplaces with pillar candles, hang tealights from ceilings in glass containers or even use fairylights in upturned cloches for a magical look. Always make sure that you’ve got plenty of spares so that the beauty lasts all night long. 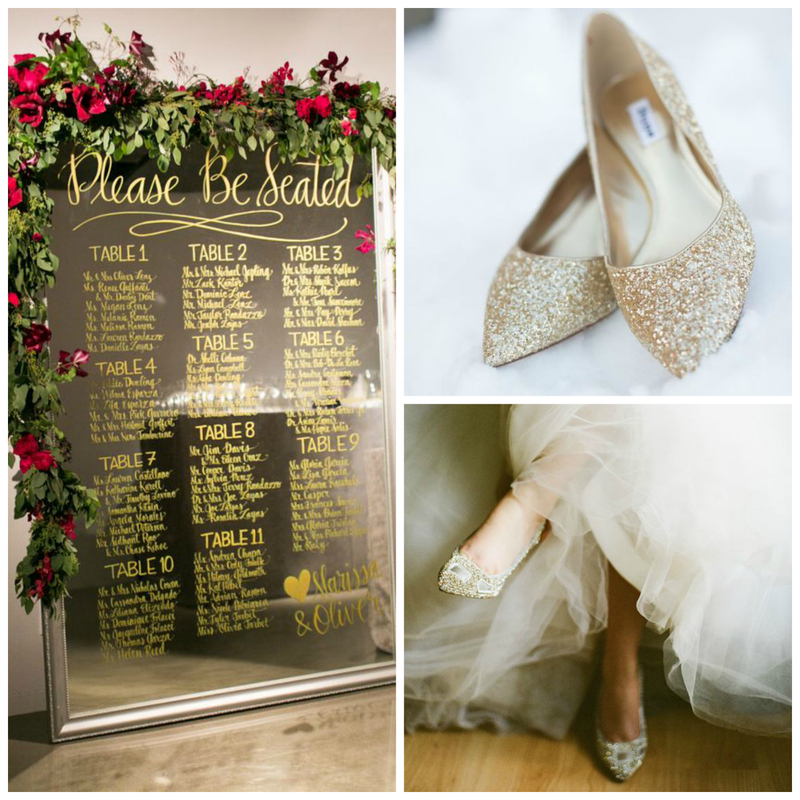 Now, a winter wedding really isn’t the same without some sparkle. Of course you could bring in some glimmering touches throughout the day but frankly, at this time of year, treating yourself to a little something is a fantastic plan! And, seeing how every bride needs great shoes, why not get your sparkle AND a little gift to yourself all in one?! If we’ve got a favourite area of Flossy & Willow, it’s the fitting room. This is where, when you come for your appointment, that all the good stuff happens. You try on wedding dresses, you see yourself transformed into a bride and we all get ridiculously excited. The fitting room is also where secrets are shared and today, we’re going to let you in on a few of them. 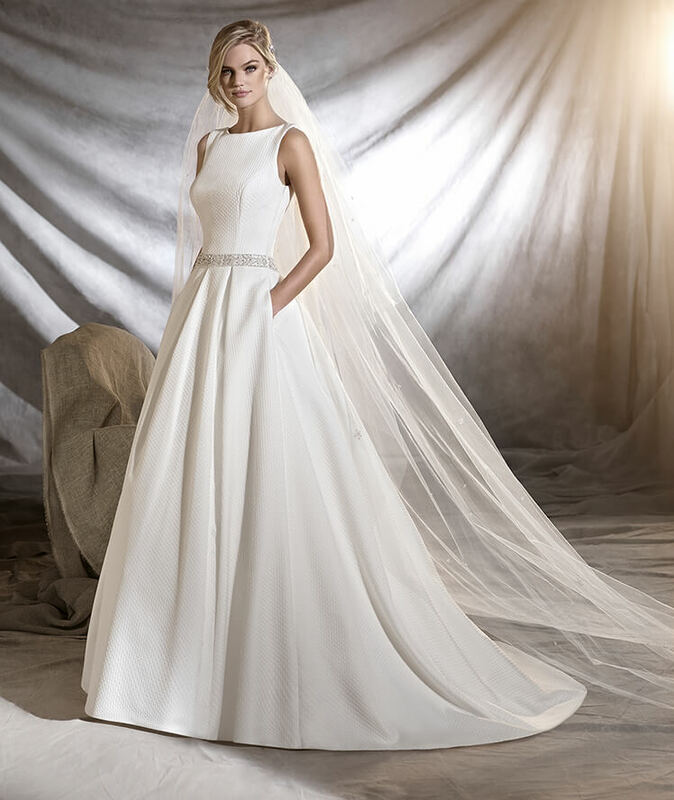 As you might expect, we hear a lot from brides during their wedding dress appointment. The fitting room is a bit like a bridal confessional at times! You should never ever feel embarrassed or inhibited and you absolutely should feel comfortable enough to tell your stylist anything. We’re here to make you look AND feel fabulous. Firstly, you’re not alone. We’ve all got a body hang-up or two so don’t worry about it. We’re not judging you, we’re not comparing you to other brides but do tell us what bits bother you. Once we know what you’re not so keen on, we can suggest gowns that are going to flatter in ways you didn’t think possible. Trust us when we tell you that we’re not rating you based on your underwear. Wear whatever you like when you come for your appointment. Be comfortable, be confident and don’t worry about us. As you can imagine, we see an awful lot of women in their underwear so please don’t feel embarrassed or self-conscious about anything. Let’s get this straight, there’s no ‘right size’. You’re you and we want you to love that as much as your partner clearly does. Yes, it’s true that we only carry samples in certain sizes but this won’t make your wedding dress appointment any less brilliant. You don’t need to worry about your size, whatever it may be. Good for you! If you don’t like it, tell us. Please don’t feel worried or nervous about telling us what you don’t like. We’re not going to take it personally and we want you to tell us exactly what you think of the dresses you try on. Explain what’s not right. Tell us what design details you’re not keen on. Be brutally honest with us so we can suggest alternatives. You don’t need to please us but we want nothing more than to please you. Yes. This is what we want. You, in a wedding gown, happy. Job. Done. 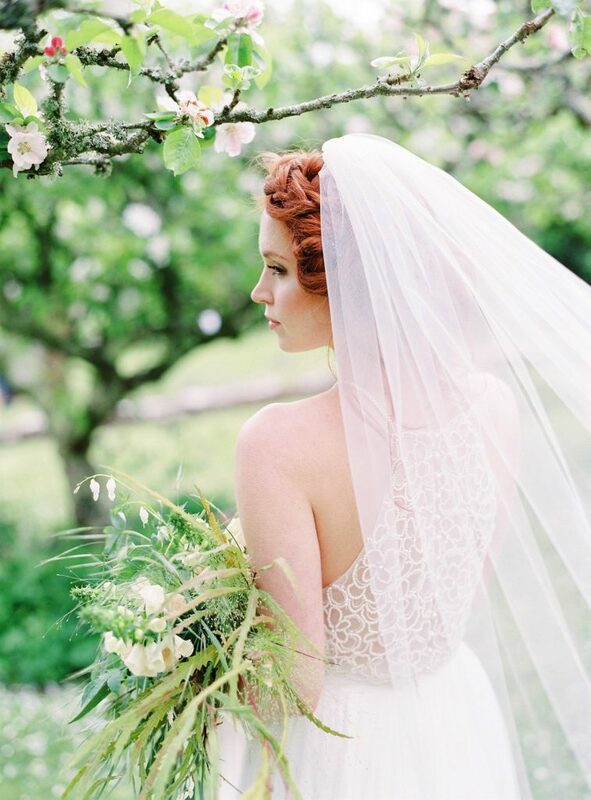 If we go back in time, brides used to use lace in their wedding dresses because it was expensive. It had to be crafted by hand and as it was so labour intensive to produce, the costs were sky high. This meant that wearing lace made a real statement about your family and your position in society. Nowadays, designers are filling their collections with lacy delights for many different reasons. 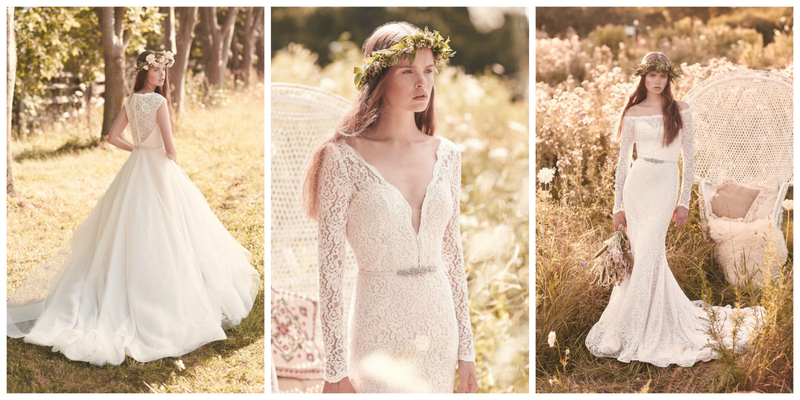 From delicate Chantilly to bold Guipere, lace is romantic, delicate and downright gorgeous. Not only that but because there are so many styles of fabric, you can choose one that suits you and your wedding. We also love that this super sweet material is now being used in so many different ways. From layered skirts to show-stopping illusion backs, lace can bring a whole new level of gorgeous to your gown. So not only is it fashionable and feminine, it can also be modern or more vintage and you’ll find every style at Flossy & Willow. Our Designers Love Lace Too! Catherine Deane’s collection includes lace sleeves and layered bodices that create really interesting and unusual necklines. Benjamin Roberts also uses lace to create bodices and cap sleeves but there are also slinky lacy skirts and plunging V-necks with delicate fabric inserts. 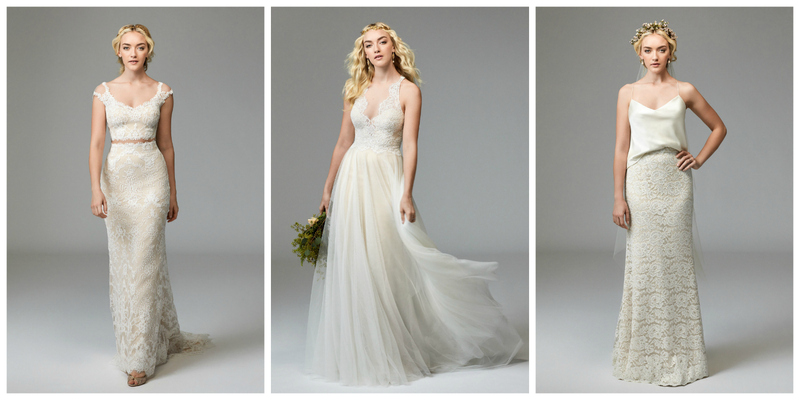 Willowby by Watters’ collection is full of lacy loveliness and we’d happily wear every single wedding dress they design! 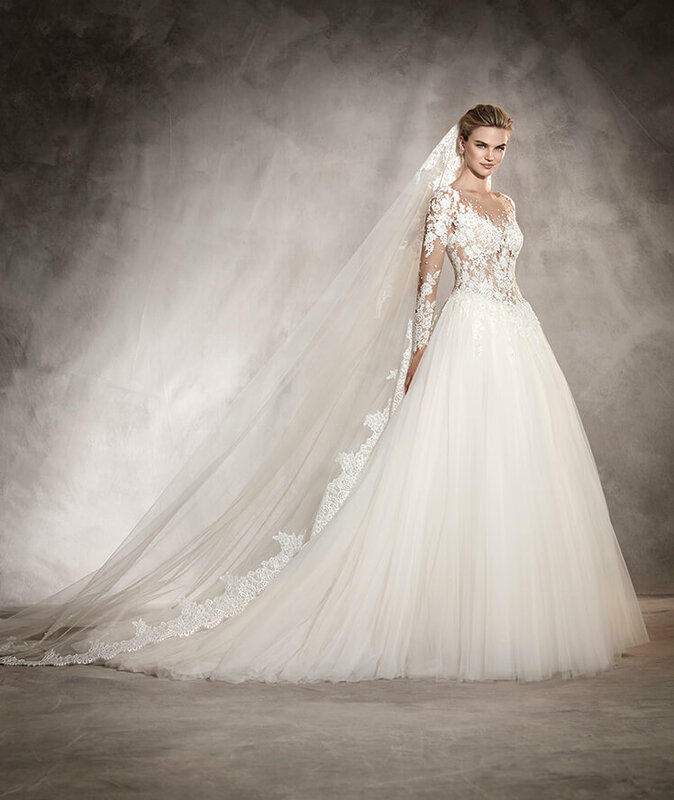 Gorgeous tops are teamed with tulle skirts and lacy overskirts become dreamy trains. 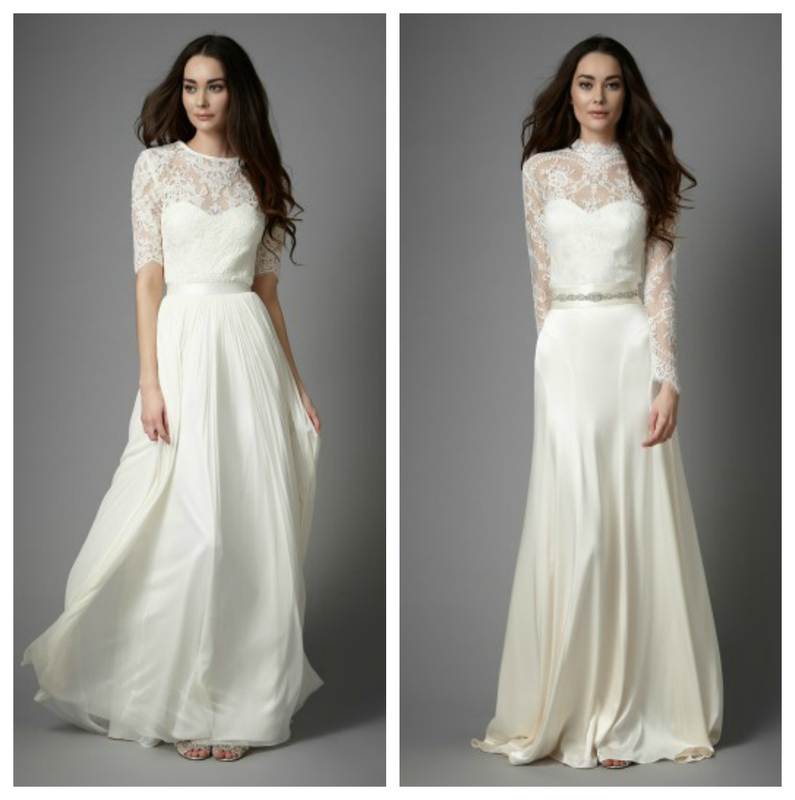 Willowby’s bridal separates are just brilliant and allow you to create your own look with our beloved fabric. Our Mikaella by Paloma Blanca edit also features oodles of this exquisite material and we swoon for the figure hugging designs that are sheer perfection. 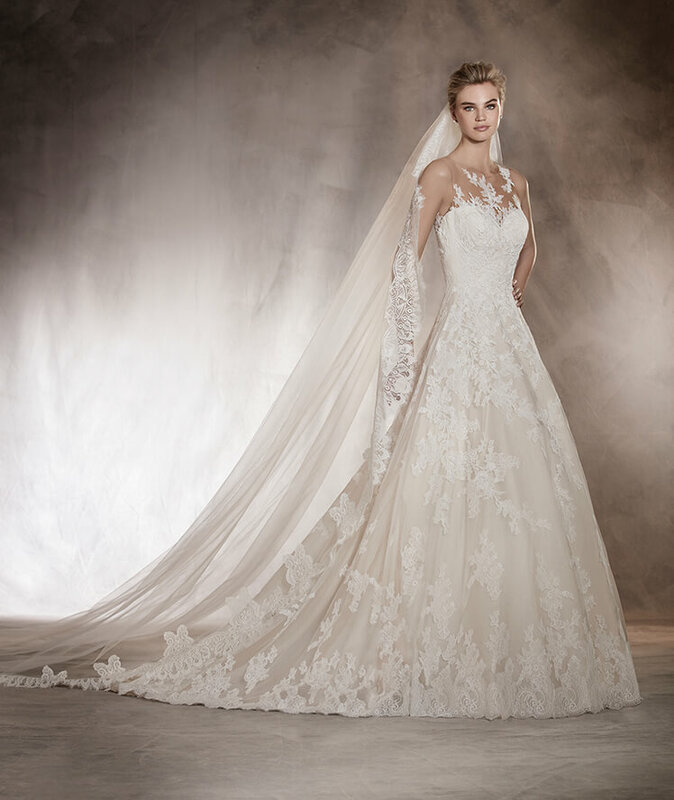 If you’d like to fall in love with lace, come and visit us to try on our selection of designer gowns. We bet your heart will be beating faster in no time!